DIY How to make the perfect hard boiled egg for salads or deviled eggs is easier than you think. In large saucepan fill half full with water, add vinegar and pinch of salt, then the eggs. 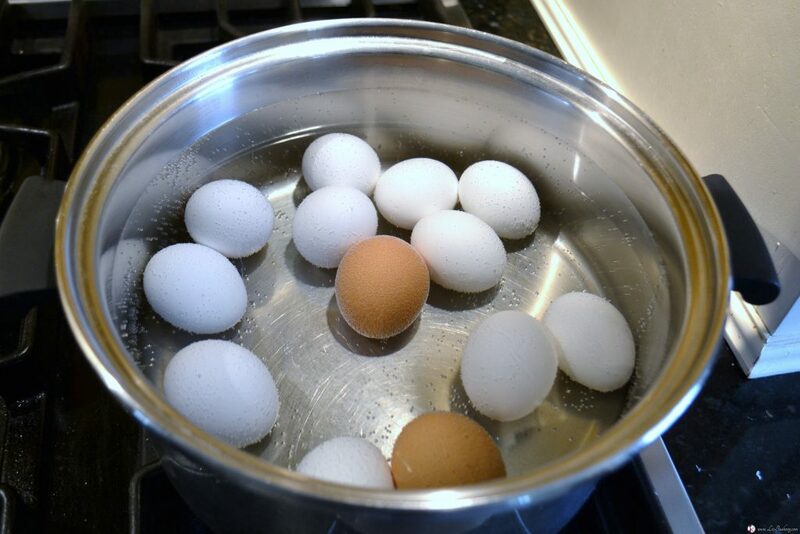 Bring eggs in water to a rapid boil over medium high heat, cover pan and remove from heat. Allow eggs to sit for 15 minutes. Drain water from eggs and immerse in cold water either in an ice water bath or cold running water. Slightly crack eggs in cold water to allow water to seep under the shell, peel eggs completely and pat dry. Easy to make, do it yourself hard boiled eggs with perfect results. Using aged eggs will produce best results. If you have fresh eggs, try steaming the eggs in a steaming basket. Steaming eggs: In saucepan, bring to a boil 1 or 2″ of water to create steam. Turn off heat and place the eggs in the bottom of the steamer basket, turn heat to medium high and cover the pot. Be sure your water does not evaporate before the desired time, 6 minutes for soft boiled eggs, 12-15 for hard boiled. Place eggs in sauce pan, cover with cool water over medium high heat. Add vinegar and salt to water. Bring eggs to a rapid bowl, remove from heat and cover with saucepan lid. Allow eggs to sit undisturbed for 15-18 minutes. Drain water from eggs and immediately fill saucepan with cold water or make a bowl full of ice and water and add eggs only to this water bath. Either way will be great. Gently crack the eggs in the cold water to allow water to seep inside the egg to help release during the peeling process. Peel eggs and pat dry, eggs now ready to fill or serve. Aged eggs are eggs that have been purchased 7-10 days in advance of making hard boiled eggs. They will keep just fine that long in the refrigerator. Cold water plunge will help release the egg from the shells. Adding vinegar and salt will help eggs from cracking while boiling and will help shells release from egg when peeling. 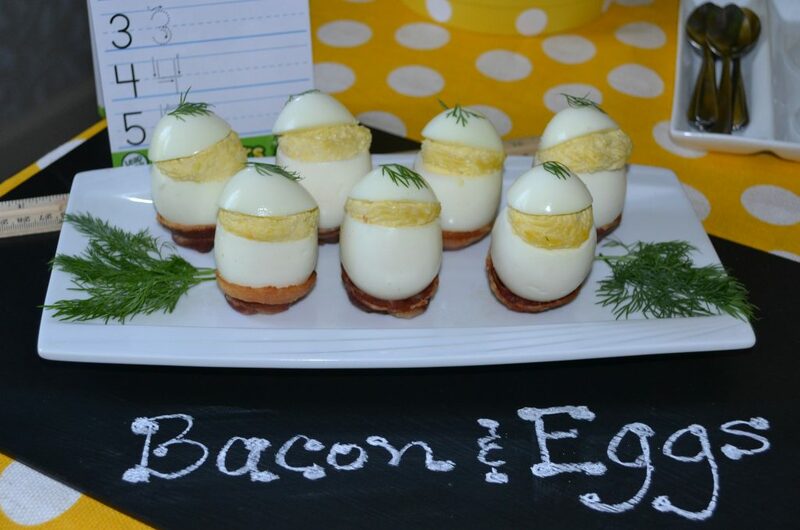 Bacon wraps, hard boiled eggs with deviled egg filling. 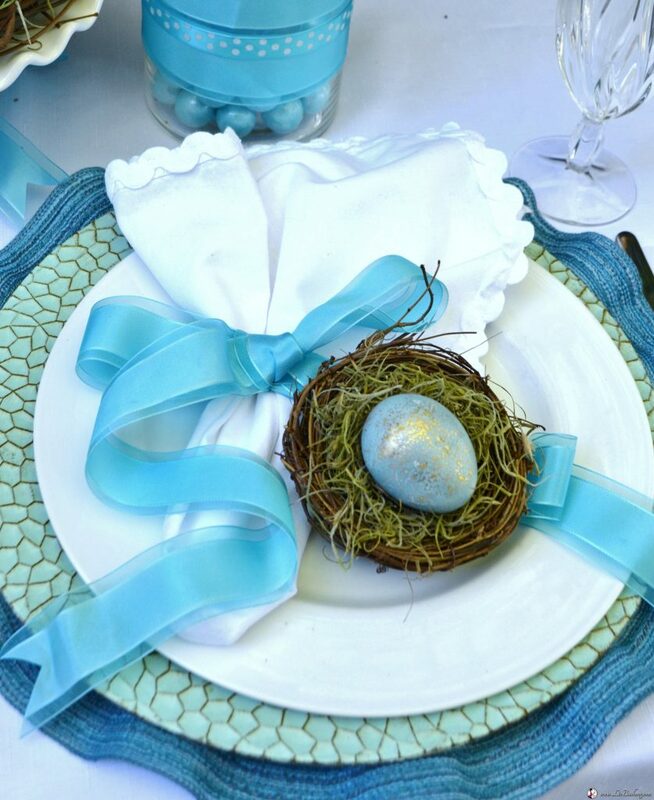 Natural Dye Robin Blue Eggs for Easter.